Cryptocurrency – the word is on everyone’s lips right now. Delving into this new and exciting world of all-online digital money, not tied to any government and not subject to any regulation, can make people feel like they’re stepping into the future – or the Wild West, depending on how much anxiety you have about this new payment technology! There is much to know about these digital currencies. It’s important to gain, at the very least, a rough understanding of how they work and what they can do before you dive into buying a cryptocoin or investing in it. Here’s what you need to know about getting, using, and trading digital money, no matter if you’re looking to replace fiat currency or if you’re looking for a way to invest in the future. If you’ve yet to hear about digital currencies – or if you’re still confused about what cryptocurrency is – they’re a completely digital form of money. Unlike the Euro, the Dollar, the Yen, or any other fiat currency tied to a national government, cryptocoins live exclusively electronically, transferred over the internet and stored digitally on hard drives. Digital currencies are “printed” through a specialized process known as mining. Each cryptocurrency has its own decentralized database, usually called a blockchain or a ledger, that records all of that currency’s activity; users can “mine” the blockchain for new coins by devoting computing power to solving highly complex mathematical equations. The more time, energy, and computing power you mine, the more cryptocoin is produced. In order to prevent miners from flooding the market and devaluing a particular digital currency, most blockchains or ledgers are designed to require ever-increasing amounts of computing power to mine. This helps to create scarcity, which supports the value of the currency. 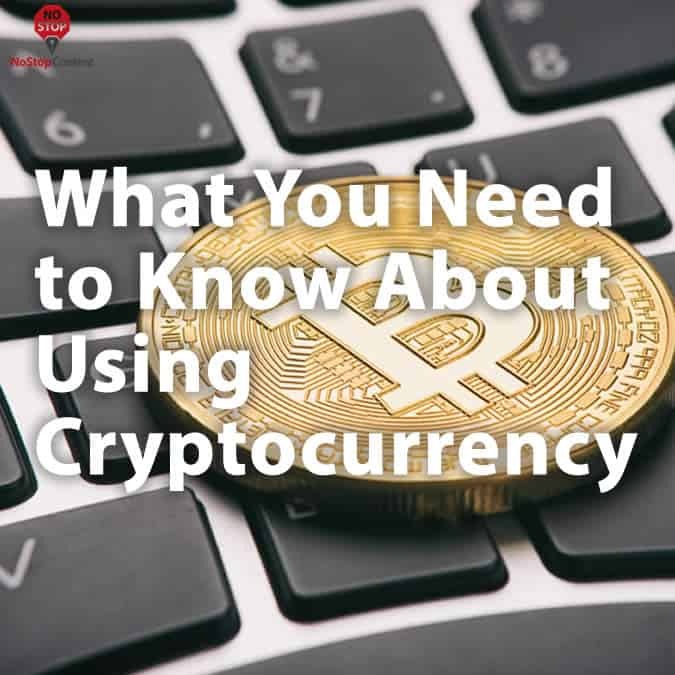 It also aids in establishing stability, which opens up the ability to trade cryptocurrency, either for a different digital coin or for fiat cash. The best way to describe Bitcoin and other cryptocoins is that using them is fairly analogous to the way most people use their checking account’s debit card. Buying something with your debit card involves your bank withdrawing money from your account electronically and then transferring it to the company you just paid. Purchasing something with cryptocurrency is essentially the same, as you’re using electronic transfers via the internet through a specific digital currency’s network. Does this mean it can be difficult to use Bitcoin or some other digital currency to buy goods and services? Sometimes. However, there are ways around this limitation – many major e-commerce sites support Bitcoin purchases, often in the electronics sector. Names like Newegg, Tiger Direct, and Dell all allow purchases in Bitcoin through electronic transfer. For those who want to use Bitcoin in person, there are several companies, both US-based and worldwide, that offer virtual and physical debit cards that can be loaded with Bitcoin. There are limitations, though, as most of these companies charge transaction fees for converting digital currencies to fiat in order to make purchases, but it’s the best real-world solution for anyone who wants to use cryptocoins in a physical space. Since cryptocoins can be traded both inside and outside the digital currency environment, digital currencies are more than just a way to pay for goods and services – they’re also a viable investment opportunity. In fact, cryptocurrency has several advantages over fiat funds when it comes to investment opportunities, one of the biggest is that it isn’t subject to the same market conditions that traditional currencies are when it comes to foreign exchange rates. The best example of this is the state of the pound after the UK voted to leave the European Union. In the wake of the Brexit vote, the value of GBP began to plummet as investors responded to the realities of the UK leaving the EU and the financial instability this new situation created. However, the world of digital currency is insulated from such real-world issues thanks to its very nature – it’s not tied to any single bank or government – and as a result, the relative value of most cryptocurrencies did not show a negative impact. In some cases, cryptocoin value actually increased as investors realized that digital currencies like Bitcoin were unaffected by Brexit. Another important advantage of cryptocurrency is its potential for explosive growth. Bitcoin, for example, has demonstrated overall positive growth since its inception – as of August 1st, 2017, Bitcoin was trading at more than $2500 per coin, whereas a year ago it was trading at around $600 per coin. Industry experts have long predicted that Bitcoin can and will increase its value even higher in the future, providing excellent potential for long-term growth. Using crypto cash to pay for goods and services, both online and in person has the potential to revolutionize the way we use money on a day-to-day basis. Additionally, trading and investing in cryptocurrency can be lucrative and rewarding, providing the potential for high ROI thanks to how insulated the digital currency market is to conditions that would otherwise throw a wrench into a Forex or binary options exchange. That being said, using crypto in everyday transactions or crypto investing and trading is not foolproof. It often requires specialized knowledge to navigate the sometimes murky waters of the underlying technology, and crypto exchanges are subject to their own unique market conditions that may be inscrutable to the uninitiated. However, cryptocurrency is undergoing rampant growth in both popularity and use. It won’t be long before major banking systems begin using adapted versions of blockchain technology to make electronic payments in fiat currency. Soon, even the most conservative financial advisors will begin recommending incorporating some cryptocoin into your investment portfolio. It’s likely there will always be a place for physical money. Cold, hard cash is hard to beat, and in situations where there’s no access to technology, it’s still the only game in town. The rules of the game are rapidly changing, though, and cryptocurrency is one player that’s not leaving anytime soon. 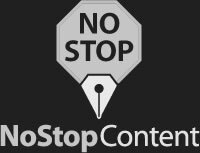 I have a little secret weapon in my digital marketing arsenal, and that my friends is NoStop Content! Talk about true professionals… they are responsive, on time, creative and deliver amazing copy all the time – every time. I just love working with smart people – the process is so much more delightful than the alternative. They simply “get it”. So glad I discovered you guys. You’re the best. Thanks, NoStop!